Special needs in today’s schools. 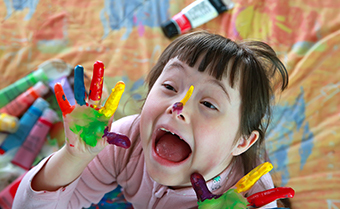 Learn how to work with children with special needs who require specialized techniques and curricula. After an overview of special education, you will explore topics such as legislation, collaboration, transition, standards, learning disabilities, emotional or behavioral disorders, AD/HD, giftedness, health impairments, intellectual disability, severe and multiple disabilities, autism, traumatic brain injury, physical disabilities, communication disorders, and visual impairments and hearing loss. I very much enjoyed taking this course! I experienced personal growth as well as gained valuable knowledge that I am already applying in my professional and personal life. The activities were highly impactful.